When it’s REALLY good, it goes here. Not very many sites make the cut. If you need big-time inspiration look here. There are 636 posts filed in Inspiration (this is page 2 of 159). 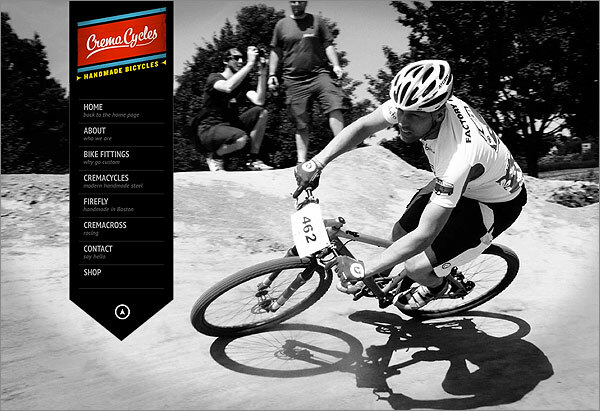 I was watching this amazing video about a coffee shop / bicycle shop and really liked the web site for CremaCycles. 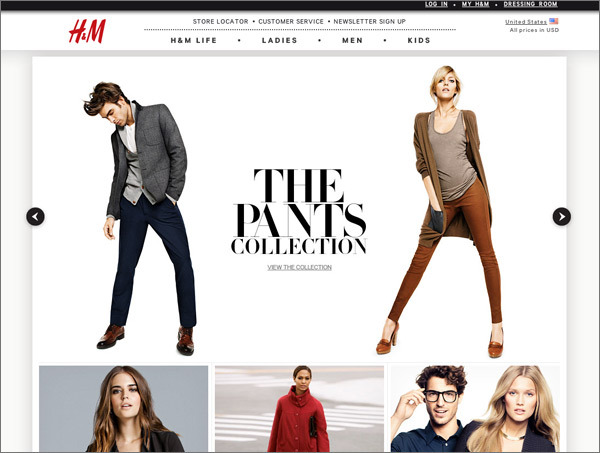 I liked this new design for the H&M web site (a clothing company). Nice, simple, and understated. 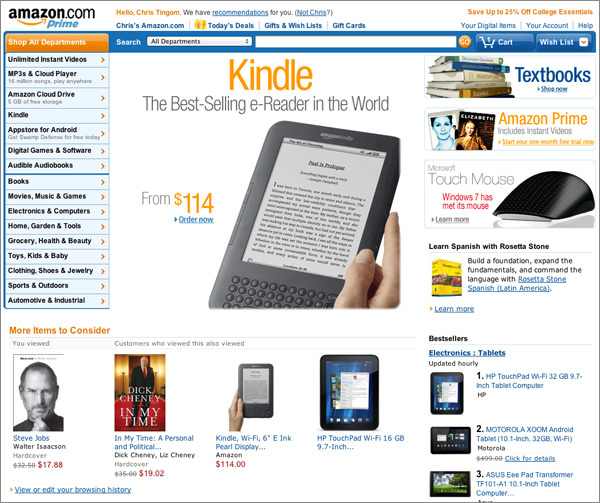 I’m excited to hear about the upcoming Amazon.com redesign that some customers are seeing. It looks really good, and I can’t wait to see what they’ve improved. I already think the Amazon site is superb, with amazing design and UI. So, for posterity sake here is a screenshot of the current design. Saw this 3D animation example today and it blew my mind. My favorite was at the 2:58 second mark.